Yes! 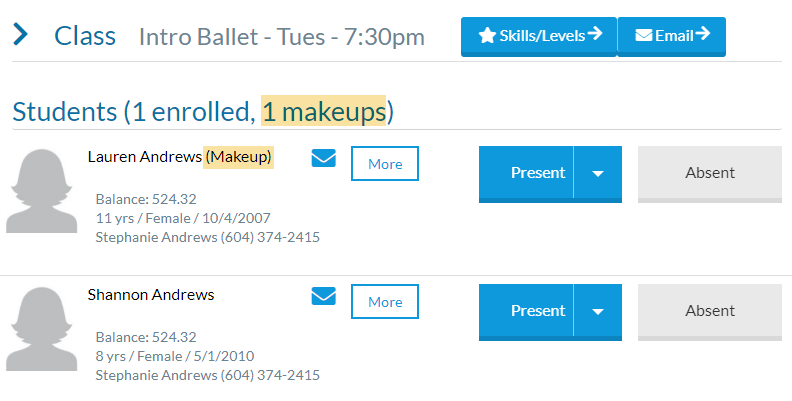 Makeup students are included in the roster on the Attendance page and are highlighted as being in class for a makeup. Attendance can also be taken for makeup students. Note: absences for makeups are automatically marked eligible for makeup.